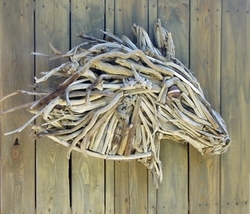 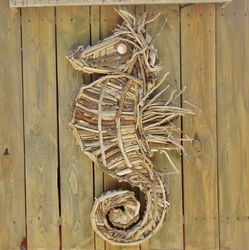 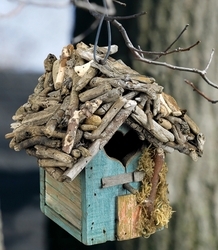 Driftwood art has a mystique all its own. 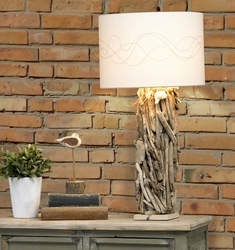 With each piece, you feel the pull of the ocean and hear the sound of waves. 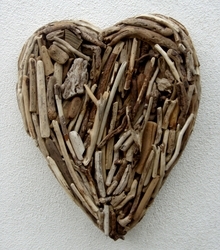 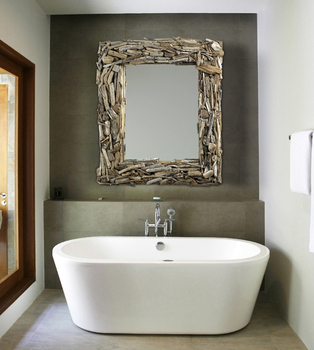 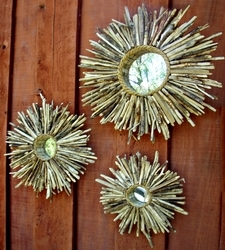 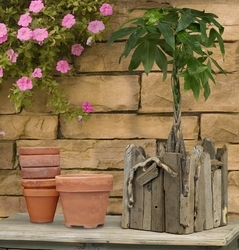 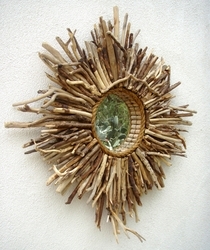 A staple of the coastal-inspired home, pieces of driftwood have long been considered as nature's abandoned art supplies. 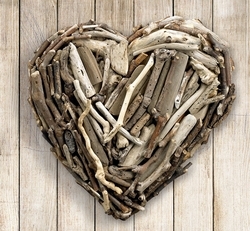 The weather-worn appearance of driftwood and smooth overall finish combine to create a wonderful base material for a variety of driftwood art, home accent pieces and accessories. 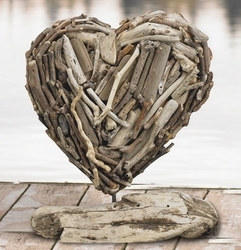 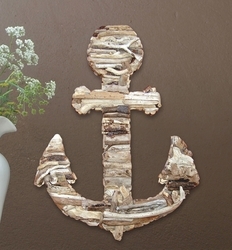 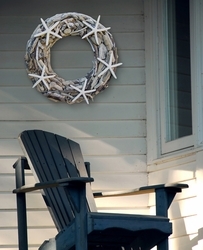 Our talented artist creates handcrafted driftwood art that gives your coastal cottage or beach home an incredible look, and the environmentally-friendly nature of driftwood furniture reinforces our commitment to global sustainability and preserving natural resources. 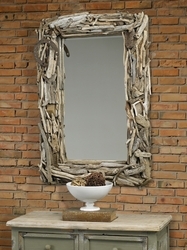 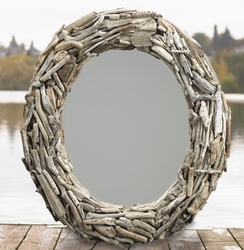 Browse through our signature line of driftwood art, mirrors, lamps and accent pieces, all crafted from natural materials for an organic, wholesome and uniquely one-of-a-kind look. 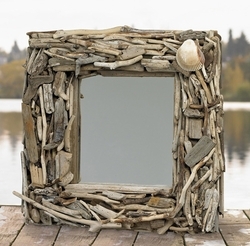 From tabletop accessories to large bathroom mirrors, reclaimed wood planter boxes to stylish floor lamps, you'll feel the wanderlust and spirit of the ocean in your coastal home when you order driftwood accessories from Cottage & Bungalow.